Legends report in 1000 AD Leif Eriksson sailed across the Atlantic from Scandinavia to America. Now the Vikings are back, this time on Californian shores, & they have found a kindred spirit in Sarah Loogman, A Regionals athlete with a heartwarming story about competing for her Grandpa. 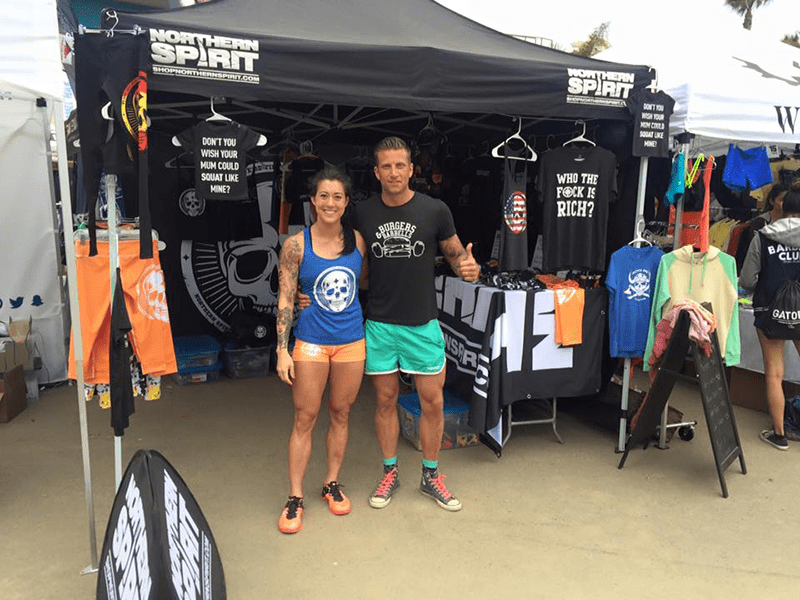 What began as Northern Spirit selling t-shirts to their friends at Crossfit Helsingborg for fun, has grown into them becoming one of the vendors at the Californian Regionals. 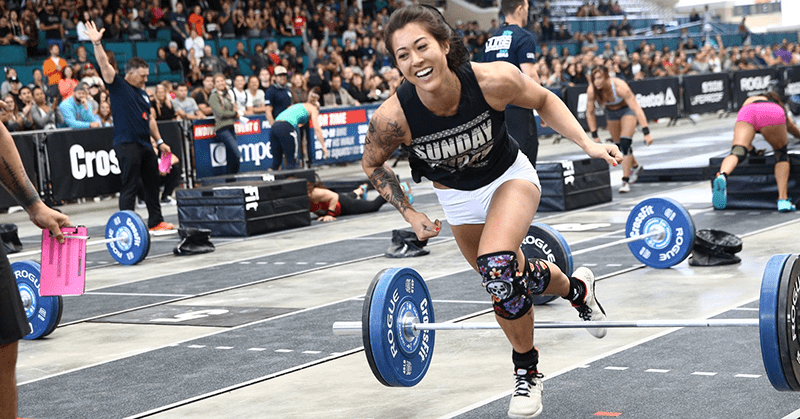 They were founded in 2013, in Helsingborg, Sweden, as an attempt to create a brand that reflects the lifestyles of Crossfitters all around the world. 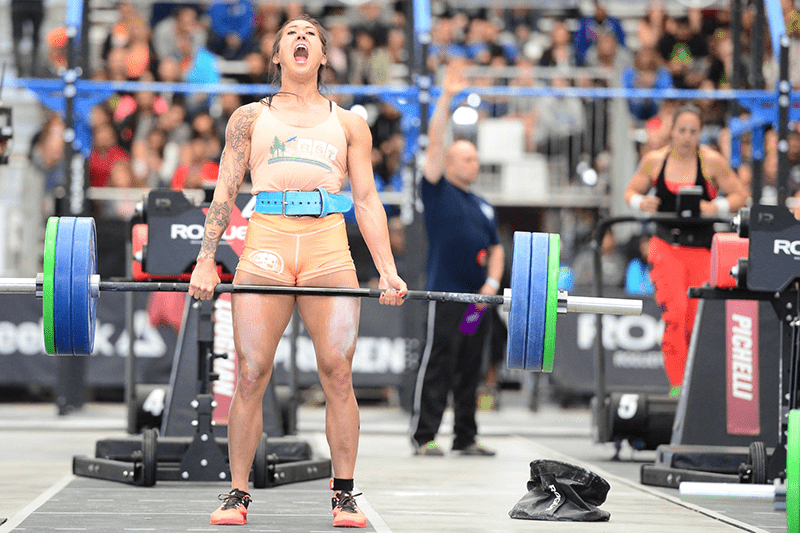 Until now, Europe has been their main focus, but it became time to set sail for US shores, and The Californian Regionals was their first contact with the American crossfit community. Unlike Leif Eriksson’s arrival, it was love at first sight. ‘Crossfitters overall are a really lovely group of people, when you add in some American hospitality and curiosity, you get a super nice crowd’ Says Joakim from Northern Spirit. Sarah is a talented and fiercely competitive Crossfitter that embodies the spirit of community, Viking strength, and hardiness that Northern Spirit are all about. She greeted each event with a smile on her face and grit and determination in her soul. Battling through a tough day two, she rose to the occasion and put in several storming performances on day three. As well as the fantastic support from her family and friends, Sarah was competing so that her Ojiichan (Grandpa) and biggest fan – who had been diagnosed with cancer – could watch her performances on the live stream. ‘You need a ‘why’ in life. You need a ‘why’ for when you’re struggling and when the pursuits of your endeavors become difficult or painful or boring or tedious. In the sport of Crossfit especially, you need a ‘why’ or you’re not gonna make it very far. Right now, this is my ‘why’. The day after I arrived in Japan this past October, my Ojiichan (grandpa) was diagnosed with terminal cancer after what was meant to be a routine checkup. What was intended as a backpacking trip turned into the last 14 days I would ever spend with my Ojiichan. He has had his ups and downs since then, but has remained positive and mostly energetic. He’s continued to pursue his hobbies and optimistically plan for the future. This past week has taken a downward turn and today I was told that this could be the end. He will be moving into hospice soon. My mom has a ticket for June 9 to Japan and we are praying that his condition remains stable until she gets there. He told her that he can keep his ‘genki’ (energy) until then. Willpower is a mighty thing. The California Regionals will be a halfway point until then and I want the opportunity for him to watch me on the live feed to be a goal in the meantime. He has binders upon binders of newspaper clippings my mom has sent him over the years of my athletic career and he’s my biggest fan. The photo above was taken when he came along with me to the gym to watch what I do and try to learn what my sport is all about. He insisted that we have a flex off and photo shoot. I might not be going to the Games but I’ll be damned if I don’t give everything I have to know that he’s watching. My performance at the California Regionals this year is dedicated to giving him a ‘why’ to keep his genki a bit longer. But first it is time for Northern Spirit to attend The Meridian Regionals in Madrid this weekend.